It’s time to start suing activists. Remember that kid who got taken by an alligator at Disney World a few months ago? Take a good guess at where you think matters stand now. I’ll give you just one shot at telling me what the parents of that poor boy are doing with regards to Disney. Oh, you think that they’re going to sue? Well, you’d be wrong, as was I.
That’s the serenity prayer. You might have heard it before but it doesn’t get quoted very often anymore. Turns out that the parents of the boy that was killed are actual adults. They are grieving and are in a lot of pain but litigation isn’t going to do them any favors, unless you’re the type of person who seeks to profit out of your very own misery. They are a lesson to us all. But sometimes litigation is necessary. Some people only get the message to back off if it’s handed down by a court with a nice accompanying payout that they have to pay. Disney was not malicious in having alligators in the pool. It may have been careless, but it didn’t wish any harm on people on purpose. I rank professional activists somewhere just above pedophiles in the order of most nasty groups of people in society. You can’t rank professional activists against other professions because they don’t generate any goods or services. They are a net drain on society. They seek only to halt, to stop, to destroy, or to eliminate. And professional activists are never satisfied. All those professional activists engaged with stopping the Japs from killing a few whales – do you think they’re going to pack up and go home once they succeed? Of course not – they have nothing to go home to do. Their job, if you can call it that, is to be a professional annoyance. A professional busybody. And they are seemingly unstoppable because they are not responsible for their actions. Recently in Australia, the New South Wales state government gave in to pressure from animal rights professional activists and banned greyhound racing. Just like that an entire sport and industry gone overnight because of coordinated pressure by activists. Perhaps they think that all those thousands of dogs will now end up in cute foster homes? Activists won because they never give up. They agitate and agitate and agitate and eventually they find a politician with the spine of an eel, (well done premier Mike Baird), and they get what they want. How about another one? Farmers in Australia are already pretty much banned from cutting down trees on their land but now it seems that it has spread to rocks as well. Apparently those rocks are 36,000 years old! Oh my God! We must do something. Better make up some phony crap and get the local aboriginal heritage legislation inspector to come in and close down the farmer. 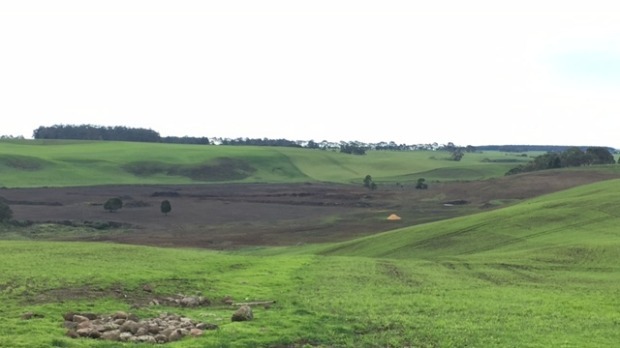 But property owner and sheep grazier Gordon Last said the previous owner had crushed most of the volcanic rock 10 years ago. “All I’ve done is run a scarifier over it to kill the ferns that had grown up, put a roller over it to push the rocks back into the ground and started to sow it,” Mr Last said. You own the land? Sorry bud, but private property rights have no sway when we’re talking about professional activists. But there is one answer to the scourge of professional activists, and that is to make them responsible for their own actions. You own a multimillion dollar greyhound racing track that is now at risk of closing down? Sue the activists responsible. Their biased actions landed you in this mess. All you have to do is to find some phony documentation that the activists came up with, (which they did – they always do because for them the ends are much more important than the means), and you’ve got a nice little litigation on the cards. The reason that professional activists are so widespread comes down to two factors. Firstly we have the social and financial conditions where they don’t need to go out and get a job in order to survive. Secondly, and as I’ve already said, they are not responsible for their own actions. We can’t change the first one, (well we can but it would have a detrimental effect on us as well), but we can change the second one. The greyhound industry have it wrong. They shouldn’t just be going after the NSW State government. They should be going after the activists as well. The first time that activists are successfully sued for their actions will result in a seismic upheaval in the professional activism industry. It will cause them to start looking over their shoulder. And perhaps the lesson will eventually be worth something to them. They will come to understand the wisdom in knowing what they can and cannot change. And the wisdom in getting a haircut and a real job. Podcast #11 – The Bragging episode. Wholeheartedly agree. Hopefully, once Trump is in office he’ll put the new AG Chris Christy on bringing down Soros’ multi-headed monster through the Racketeering Influenced and Corrupt Organizations Act. Soros is the most miserable man alive today. Hair cut, and a real job? You must be a fascist! That’s Mr Fascist to you. Smart take on the state of things. I’ve never considered suing activists before, although it’s surely happened to Green Peace and anti-loggers. This is something I can’t wait to introduce into conversations. OK, I give up. What’s wrong with the photo? Click on the link in the article about the 36,000 year old rocks. All will be revealed. Wait, so they’re wound up about what a farmer did with his own land? Of no particular historic value? That they wanted him to keep pristine, so they could get tourists to look at it? (With no payments to him for the use, either.) And they admit the interesting bits are elsewhere and “protected”, but his wasn’t protected, and they figure they’ve got a right to make him treat it as protected anyway? I would just shrug and say, “Australians!”, but we’ve got our self-important whackos here in the US as well. They’re not self-important whackos. They’re professional activists. And they need to start being held responsible for their actions. Whole heartedly agree that these professional thugs for soros start being pressed hard financially since our judicial system has checked out under obama. liberal judges protect the criminals not the victims. Its just a matter of time before we start seeing necklacing like in south africa as these mobs are allowed to push the envelope further and furher. the demonization of police is going to have the effect obama and clinton want, to allow anarchy to,spread so the federal gov can step in and police us all. thanks progressives for creating a totalitarian state.